Home / Women In Islam / WHEN IT IS PERMISSIBLE FOR WOMEN TO USE COSMETICS? 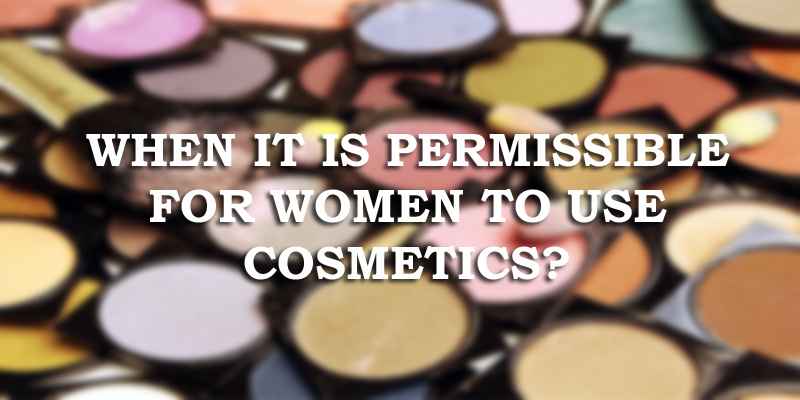 WHEN IT IS PERMISSIBLE FOR WOMEN TO USE COSMETICS? This beautification should not be for non-mahram men. The one for whom she should beautify herself first and foremost is her husband. If she uses cosmetics so that her husband will see her in the best shape, or she appears thus beautified before other women or her mahrams, that is permissible for her, because the basic principle is that she should cover all of her body in front of non-mahram men, so how can it be permissible for her to beautify herself for them in addition to that? The materials used for cosmetic purposes should be permissible, such as henna and kohl. It is not permissible for her to use fat from dead meat (i.e., from animals that have not been slaughtered in accordance with sharee’ah) or impure (naajis) substances, because Islam forbids using impure and haraam things. The cosmetic effect on the body should be temporary. It is not permissible for her to use those substances that change the creation of Allah, as some women do by having lip treatments, face peeling and tattoos which change the colour of the skin permanently. If the conditions and guidelines mentioned above are met, then using collagen is permissible.